Sylvia Petter’s collection flings the reader across the globe in its bold exploration of love, death, passion, relationship, and family. Echoing her own life experience, Sylvia Petter’s award-winning stories explore universal themes through lenses of distance and separation. Back Burning spans continents, zooming in on snapshots of relationships from childhood and young love, through adulthood and career, political pursuits and history, to awakening in old age. Powerful stories of loss and rejuvenation emerge from this patchwork in unexpected ways. 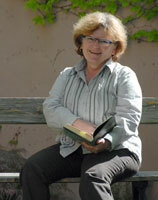 Sylvia Petter was born in Vienna and grew up in Australia. She has been featured at conferences of the Society for the Study of the Short Story in English in New Orleans (2002), and Alcala de Henares, Spain (2004), and her work has been published widely both online and in print. Her first collection of stories, The Past Present, was published by IUMIX Ltd, UK, in 2001. Sylvia currently lives with her Austrian husband in Vienna whilst undertaking postgraduate studies in Creative Writing at the University of NSW. In simple, direct and compelling language, the stories reward the reader with a variety of distinct and memorable experiences: from the complexities of love (and unfaithfulness) to those of history and the way it treats, mistreats and selects its victims, building its ironies on the accidents of race, nationality, personality, place and parentage. With its broad geographical span and array of venues, this book would make a fine companion for a journey. Not only does it entertain; it makes you think, it makes you feel, it makes you appreciate the humanity of its many characters. Sylvia Petter is a cartographer of dislocated lives. With compassionate precision, she charts the detours, the disruptive incursions of passion, loneliness and loss, the ever-shifting conceptions of home and of the self. Her characters are always on the move through complicated terrain, and the journey is richly rewarding for the reader. Sylvia Petter is certainly one of the raciest and moving writers I have read. These stories are strong and compelling. They vividly portray characters which, when fleshed out are real and devoid of superfluous descriptions. There is a lovely rumbling inevitability of some of these stories, like a raging river running to the sea. Petter had the benefit of working with Alex Keegan in the UK on his 'boot camp'- writers' course of criticism and self-criticism. What better man to work with and this work of Petter's shows it. It is all very entertaining, as well. 'The Colour of Haze' about the Nazis is especially pungent. Every kid knew there was a row back then but didn't know what it was about. The past can be disturbing for children, too. These are themes that needed to be re-expressed and Petter knows just how to do this to reach a wide audience. The writing is stark and clear. This is a very passionate book. But so aimed and direct. So Hitler spoilt a whole generation, but they still have the memory and never forget. You will have to get this book, if you can - the internet will get it for you. Sylvia Petter’s second collection is storytelling at its best. Each story presents a mini-world complete in itself—with real-to-life characters, heart-aching situations, and “visions of wings”. Petter takes the reader for a fast moving, eclectic tour around Europe, and back and forth to Australia. Crossing cultures with every page, and shifting between generations, Petter slowly builds a world of human goodness and trust in the midst of shadows. The reader is won over by Petter’s sharp wit, polished craft and honesty. Bravo for this tour de force. In Back Burning Sylvia Petter brings a powerful sense of place to every story. This is combined with a precise examination of fragmented lives and the fragmented people living them. While several of the 28 very short stories stand alone, many are grouped by theme. Sometimes this works well – a set of stories about infidelity worked like a series of sketches of the same view, each one bringing more understanding and richness to the subject. However, a run dealing with European heritage and the taint of involvement with the Nazi regime worked less successfully: the subject matter seemed overstretched. All the stories were well-crafted, but taken together it felt as if the author was using each one to examine an idea from a different angle without finding anything new to say. There was an offputting didacticism to a couple of stories. In "The Tschusch" a thoroughly unpleasant main character illustrated the worst of racial intolerance in 1990s Vienna. Yet despite strong plotting, the denouement – where the injured MC is helped by a Croatian doctor, just the kind of (former) immigrant he despises – felt like an O Henry twist: it was there to affect the reader but had no impact on the character. Similarly, "Viennese Blood" presented a snapshot of the anti-Semitism of 1930s Austria but took this reader nowhere. The coy unwillingness to give dates made it feel as if this was another reveal – are we in pre-war Vienna or the present day? Oh look, it’s a Nazi salute. To my mind, sacrificing story and character for intensity of purpose – even for a worthy cause – makes for a less satisfying read. In these two stories, there was no ambiguity, nothing to decide, nowhere for the reader to go. However, these two, perhaps undone by a seriousness of intent, were the exception. Mind Wisps luxuriated in the unstudied strangeness of Jason “spun from the strands of my true love’s mind”; Matthew charted a moving journey about a mother's love for her prematurely born son; my personal favourite, Mimosa, was a harrowing account of a bush fire and a mother’s death, as the main character writes to a man who may or may not be her father. I found Back Burning an imperfect collection with some outstanding stories. But what stayed me with me was the journey – from the tangled loyalties of old world Europe to the bush fires of new world Australia, it's an impressive range for a slim book. It is perhaps fitting that the introduction to this collection finds us mid-flight because the whole book is about journeying of one sort or another - people in transit through countries and/or their lives. I have always envied Sylvia Petter the 'universality' in her work; her long international career has loaned her a seemingly effortless air of the cultural anthropologist. In Back Burning, we travel from Sydney to London with a woman who has just been to her step-father's funeral, the 'big love' of her mother's life, though 'your father was a good man too.'. Photographs of the woman's dead father serve to throw her own life into relief. She too is married to a 'good man' while in love with a second. An Indian woman she meets on the 'plane unwittingly changes the course of her life. "Where I live," she says, "we see many facets of a jewel. The cut of a sapphire has more than one edge." In this story, Back burning is the metaphor for passion, 'brush fires and burning'. In others, fires smoulder without direct reference but they are there just the same. In Matroshki, there is an implied parallel between women and Russian dolls, in Black Hole, we're looking at the fires of hell, as preached by Sister Loreto with her 'hard mouth'. In The Colour of Haze, what smoulders is hidden family history from war-time Germany, and when it is finally revealed, it demands a rapid reassessment of our assumptions. We move through pre-war Vienna in Viennese Blood where we watch the roots of the horrors that were to come, to a later Vienna in The Ferris Wheel, where we see horrors of a different sort. Sylvia Petter is an Australian who after living in France and working in Geneva for many years, now lives in Austria, but is currently studying for a PhD in New South Wales. Every one of these stories demonstrates her skill and precision as a story-teller, her unerring ability to evoke lives in their various complexities. Some have been published before, either in her previous collection, The Past Present, (Iumix) or in various online and paper journals, others I've not seen before. The whole builds into a rich and varied collection which deserves its IP Picks 2007 Best Fiction Award. Although readers often describe a good book as one they couldn't put down or that they read in a single sitting, it is refreshing to encounter a book of stories that can't be consumed like popcorn. Henry James advised readers of The Ambassadors to read his novel at a rate of five pages a day, and a similar pace would best serve Sylvia Petter's Back Burning. The book is short enough to be read in an afternoon, but the twenty-eight stories demand reflection and should be taken one at a time. Upon finishing some stories, I turned back the pages to read them a second time or I sat quietly to consider the moral questions and to admire how well the motifs were interwoven. With others, however, I was disappointed that the writer who had achieved such heights early in the book seemed to be using lesser pieces as filler, leaving me to ponder why they went wrong. I think the discrepancy is due to the intrinsic difficulty of the form in which Petter writes, the short short. Back Burning's stories average four or five pages with some barely more than a page, and she demonstrates the possibilities of what can be accomplished with this form as well as its limitations. One of the strongest stories, "The Black Hole," presents a young girl's straggle to understand the inability of religion to answer life's difficult questions and her discovery that moral choices aren't as simple as she is initially taught. In less than four pages, Petter shows key scenes in the girl's development, selecting words as carefully as in poetry. Colors are skillfully employed to underscore characters' views. The Catholic grandmother and nuns wear black and see the world in extreme terms. The narrator moves from her white confirmation dress to a blue school uniform, sees "the sculptures with their bright robes and pink skins, their skins too pink for a Christ's agony" (16), and begins to recognize the false dichotomy presented by the church and represented by the priest's "black robes peeking from under his white chasuble" (17). In an original and strong metaphor, a nun is killed by a car while within the striped crosswalk in front of the convent school, demonstrating the failure of black and white to provide protection from the dangers of the world. "The Black Hole" exemplifies what can be accomplished in a short short. Although there is no room to develop fully fleshed complex characters, the story still resonates and leaves the reader with plenty to digest. Many stories are equally successful. "Eyes to See" presents a theme that runs through several of these stories: characters' blindness, both literal and figurative, prevents true connection. In "Talking Cold Turkey," a husband and wife discuss the rocky marriage of their friends and their own stable relationship, but Petter exposes how their stability is based on deception and shows the difference between what is thought and what is said. From story to story readers travel from Australia to Asia, throughout Europe and to North America. We meet friends who fail as lovers, a young Jewish man exposed to anti-Semitism for the first time while working abroad, and German immigrants struggling to explain to their daughter what happened during the second world war and how her father's military service can be reconciled with his being a good person. Some of the premises are original and well presented; others are simple but powerfully explored. A number of these stories are perfectly polished gems; however, just as many fail to fulfill their potential. The drawback of the short short form is obvious. While some of Petter's stories present engaging subjects, they are not developed enough to affect the reader. In "The Caravan" the narrator adopts a child, argues with his wife, and is left to raise the child alone; the boy grows older, encounters troubles with the law, gets into chugs, and then even worse happens. This could be an emotionally moving and intellectually stimulating story, but told in four pages it feels like the summary of a novel. There is too much plot without the balance of well-developed complex characters; so, instead of empathizing with the narrator's experiences, the story relies on sentimentality. Other stories fail in similar ways. In "Blind Date" a woman befriends a man online and is nervous to meet him because she never told him she's deaf, but then it turns out he's deaf, too. What could have been a forgivable contrivance in a longer, more developed story comes across here as silly. "Mind Wisps" begins, "My name is Jason and I was spun from the strands of my true love's mind" (99). It took me two readings to understand the narrator was an imaginary friend. Such a bizarre concept could theoretically work, but when the reader has only four pages to grasp this notion and ponder why the story is told this way, the premise becomes an insurmountable obstacle. In the end, Back Buming offers succinct, powerful, original stories alongside stories that resist their form. Certainly it is common to have a few lesser pieces in a collection, but the difference is more extreme here due to the quantity of stories within this slim book. However, it is more than worth the time spent on the weaker stories because Petter's successes are reminders of how moving, stimulating, and engaging fiction can be. 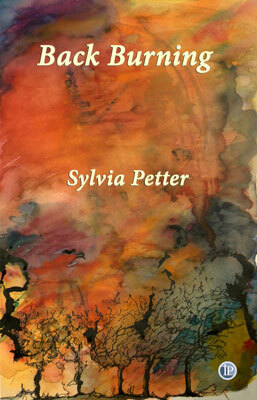 In a time when published short story collections are increasingly few and far between, and many of those that do appear seem to be story cycles trying to become novels, Sylvia Petter’s collection of 28 stories is a refreshing testimony to the durability and worth of the short story genre. Except for a few, these are not simple vignettes or snappy “short-shorts,” but they are unusually compact. A very few exceed 2000 words, and none is over 3000, I think. Like the shortest stories in Joyce’s Dubliners—in whose tradition Sylvia Petter writes—they quickly sketch a character who relates a story that unfolds to an epiphany—sometimes life-changing, sometimes ending at an abyss. Petter’s background of European parents and adult life framing her growing up in Australia and feeling a deep affinity there forms the matrix of dislocation from which many of her characters suffer. They are often travelers, or expatriates from one place or another, single parents, single adults, lonely children trying to make connections with others. Often but not always these connections are overtly sexual—but at the core they are quests for an emotional “home” with another person. Other lonely children in these stories, both boys and girls, have a tough time. Their fathers may be absent or mis-identified. The man they have known as father may not be in fact. One girl’s misplaced, not-even-conscious flirting with her mother’s boyfriend comes to a tragic end in “Bogeyman” when the mother tells him to leave. A shy and lonely man who has resisted the girl’s advances, he kills himself, the girl and the reader discover when the girl asks her mother many years later and from another country to which she has emigrated, why he disappeared. Besides the difficulties in romantic relationships and families, some of the stories have political themes: the aftermath of Naziism or its revival, prejudice in Austria or Germany against eastern European immigrants. One of these stories, “The Tschusch,” ends with a terrorist bombing that cuts short an Austrian bigot’s self-congratulatory vacation in Dubrovnik, where he has expected to exploit the very people he denigrates at home. Because they are so short, the stories trade on symbols and turns of phrase. The title story, “Back Burning,” refers to the strategy of setting a fire to stop a fire—a frequent occurrence in the tinder-box part of Australia in which Sylvia Petter grew up. In that story, the “back burning” is not literal, but springs from an encounter a woman has while returning from her stepfather’s funeral in Australia. He was the man her mother had left her father for; she herself may be on the verge of leaving her family for another man. But on the plane she is forced to converse with an Indian woman returning to part of her family in England: the woman’s insistence on talking about her family is irritating to the main character, but as she listens, something changes for her. She will not let the conflagration break out, as her mother did. She will go home to her husband. Literal as well as figurative “back burning” occurs in one of the later stories, and one of the longest in the volume, “Mimosa,” a horrific tale in which a female Australian wildfire fighter finds her mother terribly burned on the floor of their devastated home when she returns from a shift of backburning. The mother survives in hospital long enough to convey to her daughter that there is a Frenchman who should be notified of her death. After trying various emotional ways of telling the story in a letter, the daughter settles for a brief, noncommittal announcement, but puts even that into her pocket in the end. The acknowledgments for the volume reveal that some of the stories have appeared not only in print but in online and broadcast media. I do not think the medium is irrelevant to the form and brevity of the stories. In the same way as short early modernist stories appeared in weekly journals or other ephemeral media (think of Joyce, Kipling, Saki), these stories play to readers in the midst of other activities, or listeners who must “get it” in one brief “sitting.” These lucid glimpses into lives on the brink point both to the future of the short story and its history. – Suzanne Ferguson is Samuel B. and Virginia C. Knight Professor of Humanities, Emerita, at Case Western Reserve University. IP Podcast of "Just Lunch"
I’m on a flight from Sydney to London and beneath me a haze veils the Opera House. I’ve just buried Ralph, my mother’s husband. I move to the vacant seat by the window and think of my husband and daughters in England. I think of another man in my life, of the two men my mother loved. I’d gone to Sydney for my stepfather’s funeral, my head filled with visions of brush fires and burning. The outside of the white bungalow, the house I’d grown up in, had still been the same, just the paint on the guttering had started to peel.